There are some things that never go out of style. Such it is with the classic navy blue or black blazer. Many customers think blazers and sportcoats are the same thing, but they are inherently different. 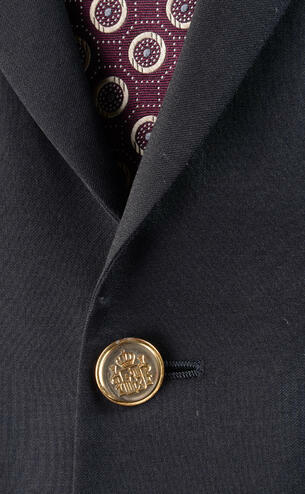 A blazer is made of 100% worsted wool and has classic gold buttons on the sleeves and the front of the jacket. A blazer is a solid color, such as black and navy as we carry at Charney's. We carry blazers in sizes 36 to 66 in short, regular, long, extra long and portly.